All of the costumes looked like they had been put together at different times, by different people. 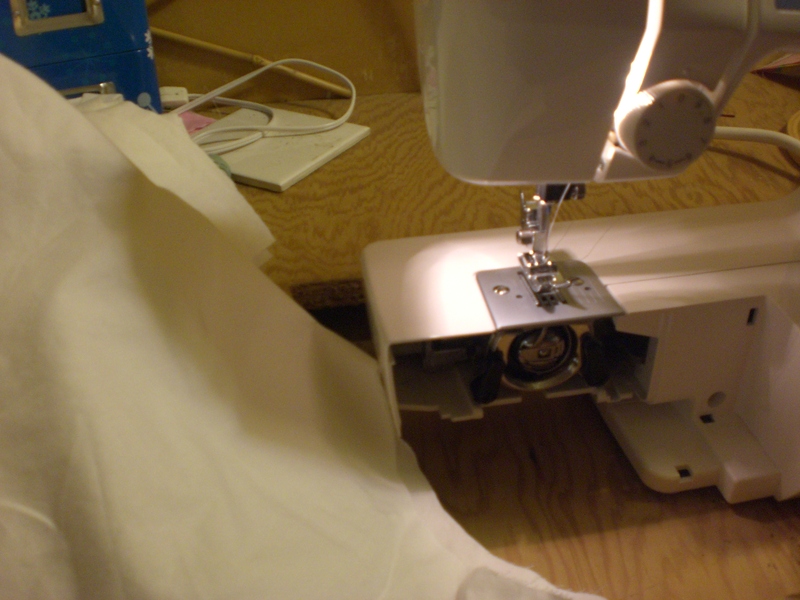 Some with genuine sewing skills, and one of them was, no kidding, a sheet with holes cut in it. My SIL said that in a perfect world she would want the costumes all to match, and not be as long, and this one (she pointed to one of the several lying on the floor) had nice wingy sleeves. By the way, she also had a bolt of white muslin. Well. SIL brought the kids over to my house the next day and we set up an assembly line, cutting out the necks and sleeves from a symmetrical pattern, like a valentine heart. (The kids weren’t in the assembly line, by the way, they pretty much ran around, swordfighting with sticks, and breaking up the ice in the goldfish pond with a shovel.) 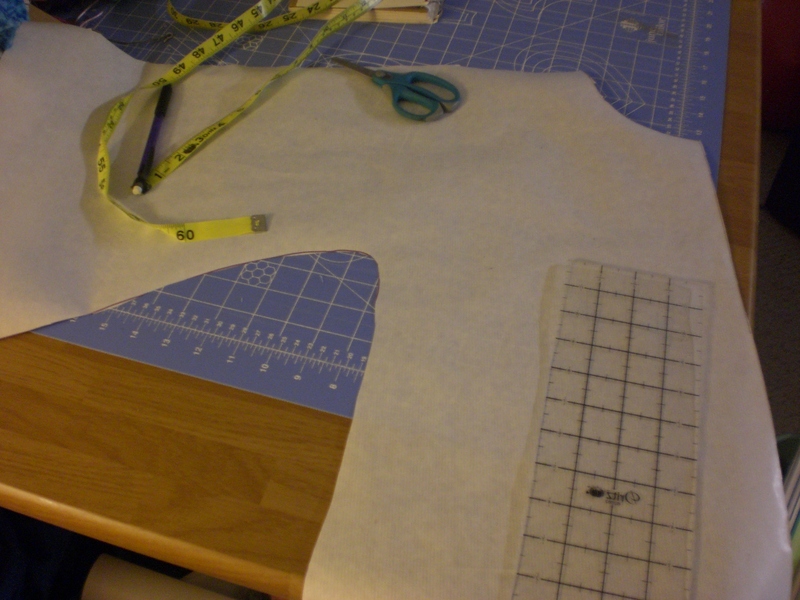 Then I stitched the sleeves and armpits, then the necks. We were going to try to get away without doing the necks, but then one angel ripped it when trying it on, so I zigzagged around each neck hole. All the angels were adorable at the Christmas play, although I didn’t get any pictures- we were late, as usual, to the performance, and they took off the costumes pretty quickly after the show was over. It took an afternoon of work, but we’ll see the costumes for years as my nephews and nieces work their ways up from angels to census takers to shepherds year by year.